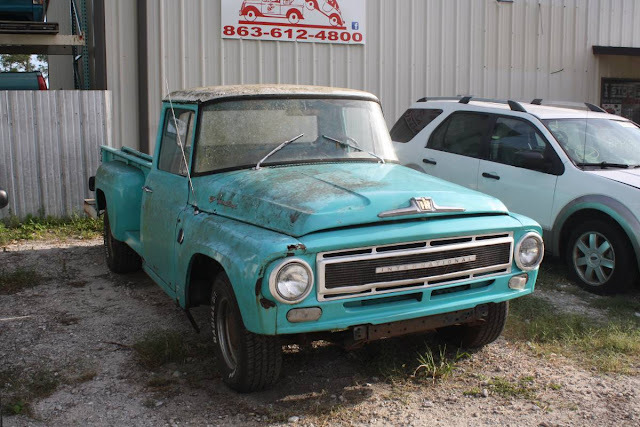 If you are in the market for a classic light duty pickup (not compact pickup, but light duty 1/2-ton through 1-ton) you might think that your only options are Ford, General Motors, or Chrysler -- but a small agricultural firm out of Warrenville, IL built a line of pickups to compete with the big three. Find this 1962 International Harvester C112 offered for $2,800 in Ft Myers, CO via craigslist. I will be the first to admit that I am not an expert on International Harvester (now known as Navistar International Co) light pickups, but this beast is part of the C-Series that debuted (what an odd word debuted is, I could have used first appeared or first sold...) in 1961, but it was mostly a revamp of the B-Series that came before it, which was part of the A-Series...do you see where this is going? 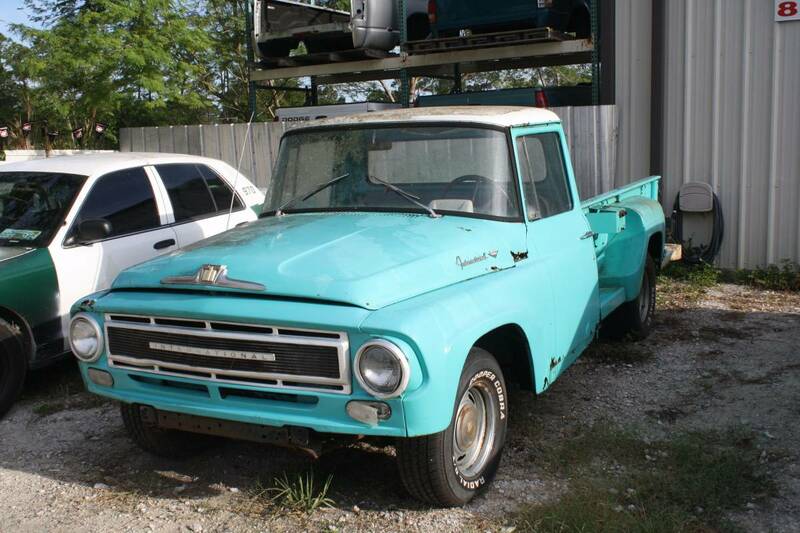 It sounds very big threey to me, and one of the better sources of information on the IH pickup is here on hagerty. According to the Hagerty valuation tool, there is a very large gap between a #4 fair car like this one ($2,500) to nicer #3 ($7,900), up to #2 excellent ($12,800) and finally #1 concours ($17,500). To me this indicates that you could buy a crummy one, fix it up and make a small profit when you sell it, but perhaps the market recognizes the difficulties around finding parts for something as obscure as one of these. Hell yeah I'd drive that. I have no idea where the market is for these but the price seems reasonable. well sure you could do it that way... Or ya could just look at it and say, yeah that seems fair. Of course then you wouldn't know a clapped out 356 was worth $50k. I recall driving a not spectacular but a decent driver 356 that was for sale for under 20k. I don't recall the exact price but the boss let me take it out for an evening so it couldn't have been too much, probably more like 15k. And this wasn't back in the 70's or something, must probably like 2002. which was 14 years ago... weird how age sneaks up on you. ...and right next door to a CrownVic P71 no less. Talk about parts availability. Note the gascap on the front fender. The only front engine front gas tank setup I can think of. For safety reasons they moved the gas tank to inside the cab behind the seat a couple years later. Gas tank in the engine compartment or in the passenger compartment, what a choice.